Sightseeing in Gdańsk and great fun with no need to reach for your wallet? It is possible! There are many interesting places in this beautiful city that you can visit and see for free while having a good time in the process. Print this article, go out and do not worry about the expenses. You will rediscover Gdańsk with us with no need to spend money too often. Ready to go? Let us begin. 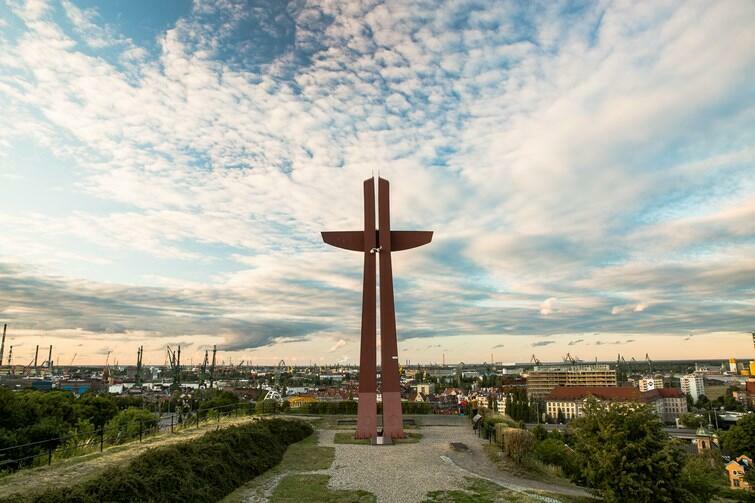 The Gradowa Hill is a perfect place to see Gdańsk from a slightly different perspective. It is a moraine hill at 50 m above the sea level. In addition to the beautiful view of the Gdańsk panorama and the Shipyard, a fort complex and a Millennium Cross commemorating the Great Jubilee of the year 2000 await us. The cross is 16.35 m high and an excellent orientation point that can easily be spotted even from very large distances. The Millennium Cross stands where the base of the anti-aircraft warfare stood during the WWII. You can also visit a free exhibition titled “The Time Machine – Man and a Bullet” in the Hewelianum Centre. The Gradowa Hill is a perfect place for a date, photo session or some training  It amazes with its universalism and multitude of uses. Only your imagination can limit taking advantage of that place.